All-axle position for on/off road and short & middle distance use. Designed for heavy load capability. Special bead structure provides excellent load stability. 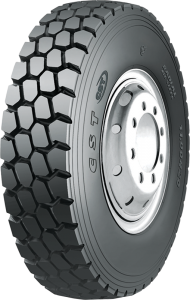 Deep tread aids in resistance to abrasion. High durability and excellent retreadability.